Quebec is already in trouble over its fight with the telecom companies and Internet neutrality. Now, it is in court over single sports betting. The province plans to appeal several judgments against it to the Supreme Court of Canada. Quebec has several different types of gambling. Last year, Quebec had the second largest gaming figures in Canada. 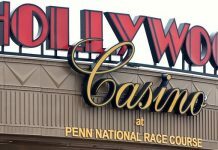 Casino gaming grew at less than 2 percent. However, the province saw an improvement with online lottery sales and online gaming. That number rose more than double that amount, to 5 percent. In Quebec, expects project online casinos and lotteries will continue to have strong growth. Online casinos, on the other hand, probably won’t increase their revenue. Quebec has four casinos and three race tracks that also have casino gaming. All offer slot machines, video poker, table games, and sports betting on parlay bets. In addition, the province has lottery games, both online and on-site purchases, as well as sportsbooks, both on-site and online. However, the province is openly fighting the courts over aspects of gaming. First, the government has been seeking to block applications and websites that offer single sports gaming options. Single sports gaming is illegal in Canada but has been growing in popularity. Many citizens have recently called for the country to legalize sports gaming. Several thousand single sports betting websites and applications are up and running outside Quebec. 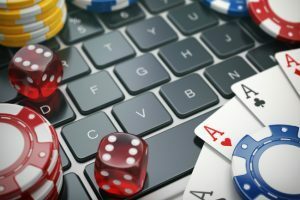 In addition, the sites have become an increasing problem because of the legalization of gambling in the United States. The opening of sportsbooks in areas not too far from the border have also prompted this request. Quebec heavily regulates its gambling industry. Some people say it operates as a monopoly. 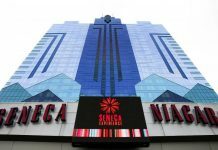 That prevents other companies from profiting off the gamblers in the province. Quebec is fighting the companies that were offering illegal gaming. But, what really got the province in trouble with the court was its violation of net neutrality. 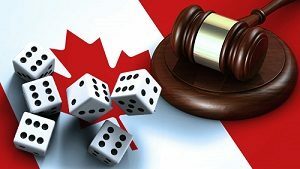 Quebec passed a law to combat the thousands of websites and apps the provincial government said are allowing illegal gambling. The law ordered all Internet service providers to block player’s access to any gaming sites that the provincial government didn’t license. Researchers believe this amounts to about 2,200 sites and apps. The Supreme Court challenged that 2016 law and threw it out. Internet service providers and the gaming industry also challenged the ruling. They said this law violated the country’s net neutrality law. The neutrality law says the Internet should be neutral and free of bias. That includes companies or countries. Quebec’s law compelled the ISPs to give up the names of websites that violate the net neutrality law. And, that is illegal, according to the service providers. The court agreed with the Internet service providers. The gaming companies also argued the closing down of websites doesn’t allow for free trade or commerce. And, that would affect the e-commerce industry. If there is no competition, the businesses argue, it means the provincial government owns all the means of production. That would make it a monopoly, and that is not legal under Canadian law. Currently, in Quebec, the only company that can offer gaming of any kind is Loto-Quebec, which is a government-owned company. While the court ruled against Quebec, the province has vowed to continue fighting. It believes it has the right to ban gaming-related websites. The province says it is doing it out of concern for its citizens. It wants to protect them from personal harm. Many critics, however, see this as a patently false claim.